I use these for EVERYTHING! taking off makeup after a workout or just to refresh my face! I initially purchased these wipes because a close friend recommended them to me. While I had high hopes for them, since I'm usually a Yes Too fan, these cloths just did not cut it for me. First of all, the cucumber smell is VERY overpowering. Honestly, it detracts from the whole experience. If you're a fan of cucumber scents this may not be a problem for you, but for me it was too much. Secondly, I found these wipes to be very ineffective at removing my eye makeup. It took off my foundation okay, but my shadow, liner and mascara barely budged when I used these. It didn't leave my skin feeling very clean either. I had to go back over my face with my usual cleanser in order to feel like all my makeup had been removed. My two star rating comes from the fact that these ARE gentle and non irritating. If you don't wear a lot of makeup, or just need a quick refresh after the gym, these will probably work for you. If, on the other hand, you wear a full face of makeup like I do I wouldn't recommend these. These are great for makeup removal and are non-irritating. I have raved on and on about the YES TO line and this product is no different. I absolutely love these. I think these may be my favorite even so far as all of the different wipes and cleanser pads and cloths in the whole line. The cucumber has a light, refreshing scent and because it is nearly 98% natural, it doesn't irritate my skin at all. 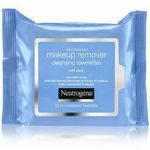 The natural aspect of these wipes make them perfect to carry at the gym, work, and for home makeup removal. The ingredients are so gently I can actually wipe off mascara, eyeshadow, and eye liner without any irritation to my sensitive eyes or skin around them. The wipes are moist and have plenty of liquid in them, but they aren't so bad as to be soaked. They have the perfect amount of moisture to wipe my face with. I like that these have the ability to hold up and cleanse my entire face of the makeup on it. Some cloths require a second sheet but these get it done with one. Effectiveness These are almost entirely natural and they are effective. This is a win-win wipe for me. The cucumber scent plus the strength of the ingredients work wonderfully. I don't feel like my skin is greasy or heavy after using these. They are gentle enough to even use directly on the eyes and lashes. Ease of Application These are easy to use because all you need to do is remove one from the package. The pack reseals and wipes are disposable so it's easy to use these on the go, at work, or at the gym. Scent Although these are cucumber wipes, they don't spell exactly like a cucumber. They have a light, refreshing scent, but they aren't strong. They leave behind the mildest of scents on the skin and it isn't loud or irritating at all. I have used many facial wipes in my lifetime, but none of them even came close to comparing to these. I normally have very dry and sensitive skin, so I was ecstatic to finally find a facial towelette that did not irritate my skin at all. Yes To Cucumbers Hypoallergenic facial wipes are subtle-scented and they are not rough on my skin at all. I normally use them to remove my make up or to freshen up after a workout. These wipes are decently priced, so that is always a plus. I would definitely recommend these to anyone who is looking for a non-harsh but effective facial wipe. Effectiveness These actually do a really awesome job at cleaning my face. I always feel fresh after using them. 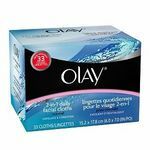 Ease of Application These facial wipes are very easy to use. You literally just use them to wipe off any dirt or make up from your face. Scent Cucumber is one of my favorite scents in general, so I obviously really enjoyed the smell of these facial wipes. I had high hopes for this product. I like the concept, that's for sure. Even the package is cute. I do not consider myself to have overly sensitive skin, but this product definitely affected me. My face felt a little itchy and instantly uncomfortable. The scent, while pleasant enough to the nose, made my eyes burn. The scent lingers on the face in a weird way that waifs up and does not seem to lessen. I gave up on this one after just a few tried. It just affected me too much. In the end, they dried up very quickly, which makes me wonder about the packaging. I had sealed it well, and I have not had issues with with similar products drying up. It was very disappointing. Effectiveness Sure, they cleaned my face. They left it feeling cool and almost refreshed...until it started hurting my skin. Ease of Application Very easy; no complaints about how simple it is to clean your face with this product. Scent These smell natural; especially when you take the initial sniff of the package, but there is way too much fragrance involved. That is particularly true when you are applying the wipe to your face. Near your nose. Maybe you are supposed to wipe the scent off? Well, that's what I had to do. I'm not normally a fan of facial wipes because they tend to run on the expensive side. As a mom of three very young children, I have to watch the budget pretty closely. The exception is when I have to travel for family events (weddings, funerals, baptisms, etc), in which case I always pack them. With three sugar-loaded kids in a hotel room, the likelihood of myself getting a shower before bed drops to non-existent. In those cases, thank God for Yes To Cucumbers Hypoallergenic Facial Wipes! They easily remove makeup (even waterproof mascara!) as well as the usual sweat, sunscreen and dirt. I have extremely sensitive skin too and I have never gotten a breakout or rash from Yes To Cucumbers Hypoallergenic Facial Wipes. Not once! And nothing feels better than going to bed with a fresh clean face. It's my one little "mommy pamper item" when we travel. So even if I wake up with filthy greasy hair to the sound of three screaming kids bouncing on a hotel bed, at least my skin is always fabulous. After hearing great things about the Yes To Cucumbers Hypoallergenic Facial Wipes, I thought that I would give them a try. After using the wipes for almost a week, I started to notice that I was having more problems with break outs that I had never had before. I also noticed that the wipes were leaving my skin with a really dry and scaly feel. I immediately stopped using this product. I found the fragrance to be more of a medicine type smell rather than pleasant. I myself, would not use the Yes To Cucumbers Hypoallergenic Facial Wipes again and would not recommend them to anyone. I found the wipes to be overrated and over priced. The wipes are easy enough to use and are very convenient but just not worth it in the long run. There are so many other products available that work much better and at a much better price. I feel as if the purchase of these wipes were a complete waste of money. I bought the Yes To Cucumbers Hypoallergenic Facial Wipes few months back as I need them during summer where the weather is quite unpleasant and it is necessary to wipe the dirt and sweat from the face every time and these wipes claimed to be very soft on the skin and help in cleaning the pores, making the skin feel clean but instead they reacted on the skin causing burns and marks on my face. The ingredients of this product include benzoic acid and sodium benzoate and these may have caused the reaction but still I was not sure and I consulted the dermatologist stating the issue and she told me that these ingredients cause an irritation on sensitive skin and I need to avoid using any creams that contain them. I was thoroughly disappointed as I not only lost my money buying the product but the after effects were also painful and for two days, I was not able to leave the house as well. I don't exercise without them. I always keep a pack of the Yes to Cucumbers Hypoallergenic Facial Wipes in my gym bag for after runs or workouts. 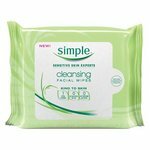 The wipes are soft and soothing, cleaning pores and cooling the skin. Having combination skin with dry patches, I was happy to find that these wipes do not require me to apply any kind of moisturizer afterwards. 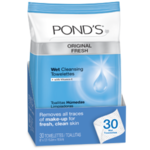 They make my skin feel refreshed and clean, but they allow my skin to retain it's moisture. After races, I usually use a wipe and then just reapply sunscreen. I marked these down to an 8 because I have bought a few packs where the wipes were fairly dry. This could be an indicator of a packaging problem that allows the moisture to escape. However, all in all, I'm pretty happy with them. 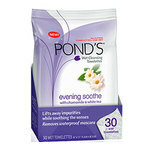 Effectiveness I feel refreshed, and my skin always feels clean and moist after I use these wipes. Ease of Application Take out a wipe, gently wipe it all over your face and neck, throw it away. I really don't think it gets any simpler than that. Scent These wipes smell pretty delightful. It's like spa water for your face. I only give Yes TO Cucumbers Hypoallergenic Facial Wipes a nine out of ten because I feel the Simple wipes top them in a few ways. First, Yes To wipes are a little bit on the thin side. If you stretch it too far, you can almost poke your finger through the wipe. Second, the smell of cucumbers is strong in this formula and to me, it does not smell so great. Neither of these two thing would deter me from buying this product again. I would just limit the use to times where I had enough time to let my face dry before going out so I do not smell weird. They are great for before bed time or a quick cleanse in the morning when you are rushed or even travelling. The pack has a great plastic resealable cover that is super easy to use ensuring that the last wipes in the container stay moist. It is easy to store because the plastic container collapses as you use the wipes. The wipes are a great size and feel large enough to cover your whole face with just one wipe. They are gentle on the skin, but still clean very well. I highly recommend trying these if you have not!